I can’t think of a better energy to start the week with than The Faery Godmother! She comes to us with blessings of abundance, grace and love. As you step into your week, remember to take note of the good that surrounds you and all that comes to you. This gentle presence donned with the crown of stars, flowers and branches brings illumination and resources to you to help light your way. She is the lady of last minute rescues, but you don’t have to wait until you are in hot water to call on her for help! She offers her love and assistance freely and guides you to the most graceful of outcomes. This week pay special attention to the inflow of love that comes to you in all forms, be it a special gift, the shoulder of a friend in a time of need or the arrival of someone new and special in your life. Love abounds when we keep our eyes open for it – just remember that it flows best when it is given and received. Keep your channels open and when you receive a smile of encouragement from an unexpected source, pass it along to someone else. Open your heart and the Universe will flood it with blessings. 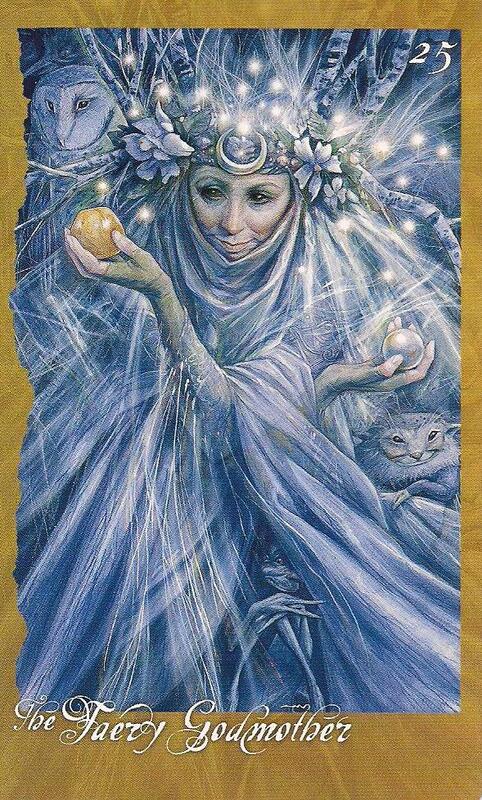 The Faery Godmother ushers in our week in part because we may need to call upon her as we move forward and face our fears. Most of our fears are not real – they are founded in old patterns and limiting beliefs that we developed as children, and while they may have served us when we were younger, they have now far outstayed their welcome. G. Hobyah warns us that this week we need to be willing to look at these as they arise, as that is truly the only way to move through them. When we can see the truth, we are empowered to create lasting change. 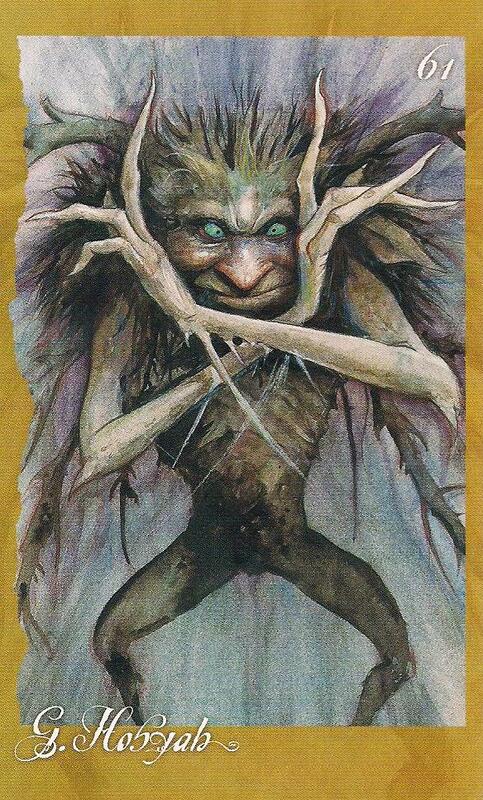 Allow the support of The Faery Godmother to shine her light on these so-called goblins in the closet so that we may see them for what they really are and then act accordingly. In some instances, fears are real, and so it is important for us as well to be prepared to take necessary action when this is the case. An important lesson of this card is to learn to discern between the real and imaginary concerns so that we may continue to grow and expand while also caring for ourselves. In part, fears are popping up because we have been moving forward with big dreams and ideas. When we get to a point in which we are truly facing in the direction of our life path, our egos like to jump in and give us all sorts of reasons for why we can’t do something. The truth of the matter, though, is that we can. Last week we were given a message to study or apprentice in a field of interest, and that message continues with The Master Maker card. His message is to “Do whatever you do as well as you can.” This is a time to work on mastering your craft and for using your ingenuity and resilience to continue moving forward. We have the strength and tenacity to accomplish our dreams if we can put the naysaying voices of the ego to rest. Joy is one of the keys here – remember to bring your love for the subject to your work and to raise your standards enough to challenge you and spark new insight and innovation. Be careful not to overwhelm yourself, though: our little Master Maker shows us in his tree pose that balance is one of the keys to success. 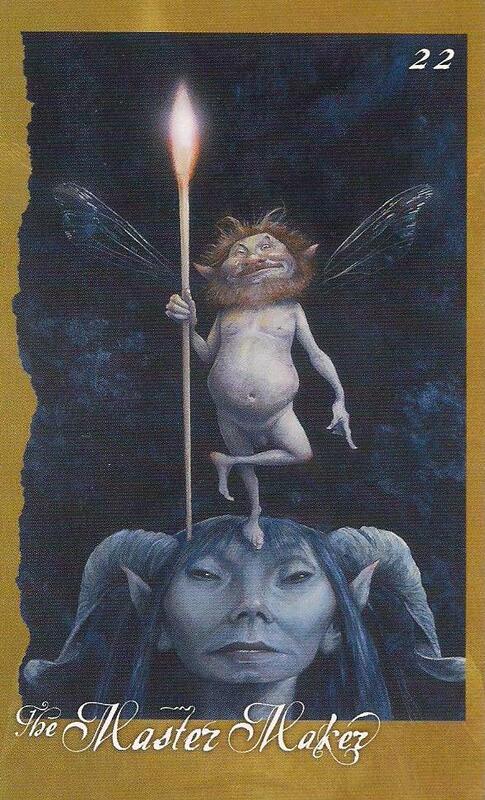 This week’s reading is from The Faeries’ Oracle by Brian Froud. Categories: Uncategorized | Tags: Brian Froud, Card Reading, Certified Angel Card Reader, Janet Raftis, oracle card reading, The Faeries' Oracle | Permalink. Weekly Card Reading: August 18-24, 2014 – Balance! We start this week with the powerful energy of The King. This is a time of taking stock of where you are and what needs to be done. Allow the energy of justice, fairness, and authority kick start your week for a little spring cleaning of your affairs. This is a very practical and pragmatic energy that demands that you look at your to-do list. Do you have bills that need to be paid? Are there repairs that require tending to? These debts and reparations can be either in the physical realm or the emotional/energetic. Do you owe someone gratitude or do you need to make amends for a past action that may not have been in alignment with the highest good? Taking care of business, so to speak, grounds you in the physical realm and restores clarity to your life. Once you are able to eliminate the energies of indebtedness and confusion, you are able to channel your vision more powerfully and intentionally. The space created through the proper usage of the king power opens the way for The Swan. 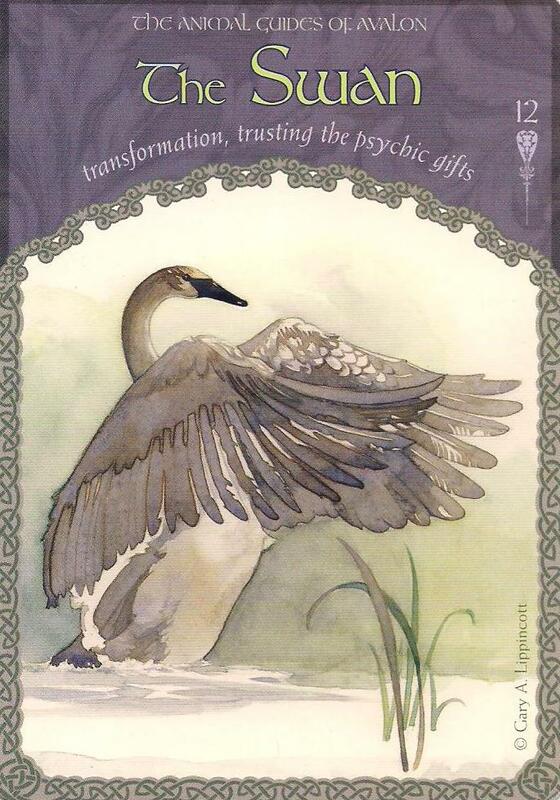 This is a beautiful card that heralds the further opening of your intuition and a transformation that can create empowered and lasting change. The focus here needs to be on trust. Having faith in yourself and your gifts and allowing yourself to utilize them for your betterment creates a shift that can take you to greater depths of understanding. Honor this change in you, and know that although you may not even recognize who you now are (yes, the shift can be this profound), your soul has been yearning for this and that you are now answering this call. With trust in yourself, focus on continued alignment with your purpose through the art of listening to Spirit and cultivating the love in your heart. We blend the energies of the king and the swan at the end of the week through The Deer. Deer comes to tell you that you are about to embark on a new journey. She stands at the edge of the woods and she beckons you to join her. Know that the next step for your transformation comes through the acknowledgement that it is time to move forward in your new shoes so that you may be more expansive and integrate even more along your spiritual journey. 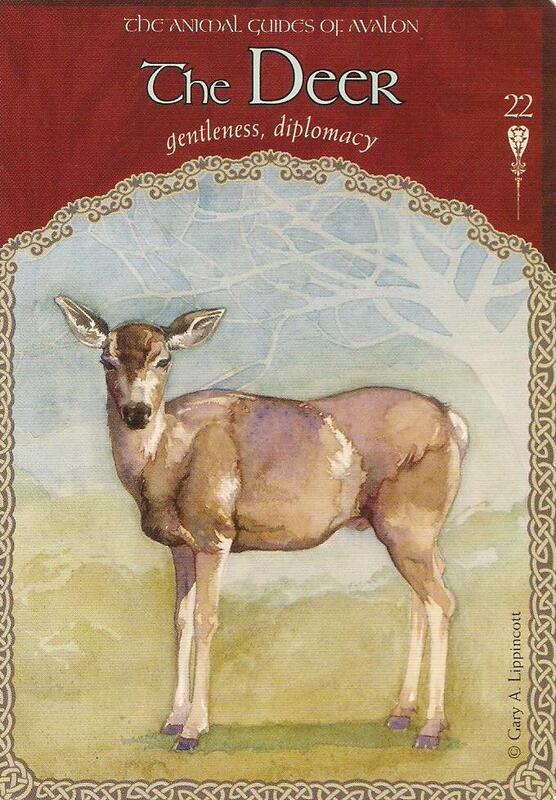 The deer is intuitive and gentle but don’t let these soft energies fool you. She is powerful in her purpose and sure of her footing. Like the king, she encourages diplomacy, but one that is tempered with a feminine charge. Allow for the robustness of the king to open your week, but balance the pragmatism of the male energy with the nurturing and gentleness of the swan and the deer for optimum results. In all things, balance. 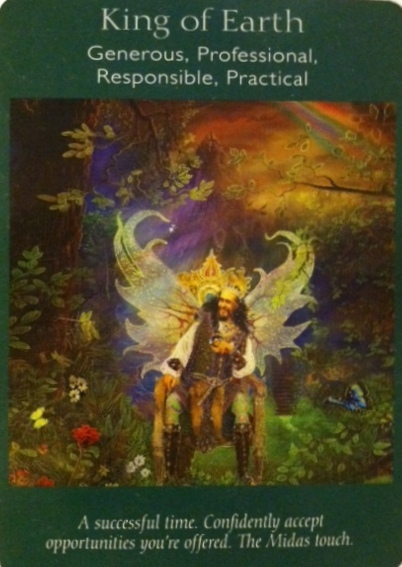 This week’s reading is from The Wisdom of Avalon oracle cards by Colette Baron-Reid. Categories: Uncategorized | Tags: Card Reading, Certified Angel Card Reader, Colette Baron-Reid, psychic readings, weekly oracle card reading | Permalink. 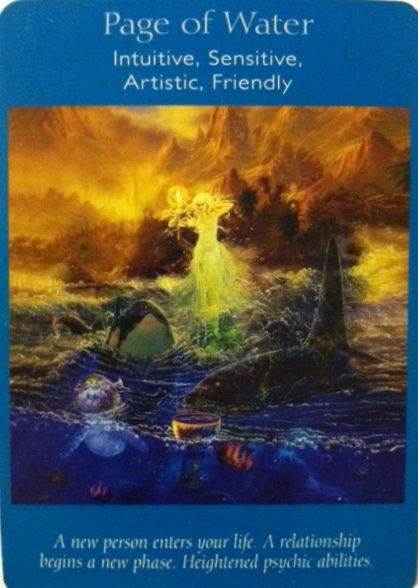 Weekly Card Reading August 26-September 1, 2013: A Week of Manifestation and Joy! Wow! This week looks great for us. We took the time we needed last week to release and heal and it is paying off for us now. The intensities of the energies that had us feeling a little lost and confused and that perhaps had us resorting to old patterns of behavior have been processed and we have learned how to experience and synthesize our emotions in a much more authentic manner. This has created a week of truly being able to enjoy life for all of the magic that it offers us. The spread this week indicates that we are now in a time of deepening. We start off with the Ten of Earth card, which shows us that we can experience a happy and abundant family life. This security extends into all aspects of our lives and reminds us that the more we notice the magic around us, the more we can bring it into our lives. Take time to count your blessings and to feel on a very deep level just how bountiful the Universe is – all of our needs are met, and more, if we allow them to be. The glow worms further remind us to shine our light and the number 10 tells us that we are embarking on a new cycle. As we begin to focus on the many blessings, our sense of gratitude and awe leads us into truly manifesting even more. I’m feeling that many of us are going to experience a major shift mid-week with respect to either a new job offer, a merger of some sort, or other opportunities that present themselves. 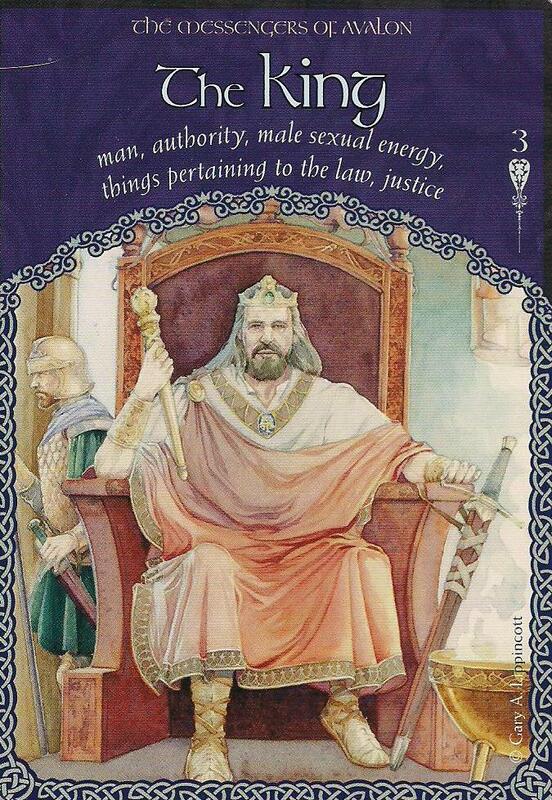 The King of Earth card speaks of the Midas touch and that energy is fully coming through for me. The king cards in the Tarot accelerate the power of manifestation, and on top of that we are channeling this with glee. We are laughing and confident, proud without being smug; we are finally realizing that we deserve to receive the bounty of the Universe and we are beginning to align ourselves with it. But wait – there’s more! Page of Water shows us that not only do we get to revel in a happy home life and financial security, but by mid-week we are going to see a shift in our relationships as well. For those of us already in a partnership, we will see it grow to a new level of intimacy. Some of us will even meet a new special someone this week. In addition to this, we will all really begin to experience ourselves on a deeper level. Prepare for a deepening of your intuition at the end of the week, but also be aware of what is going on around you. For many of us, the opportunities that come mid-week will align ourselves with our life purpose, as signified by the Whale in this picture. This week is a time of joy! Enjoy this freedom and peace and use it to take another step or two in the direction of your dreams. 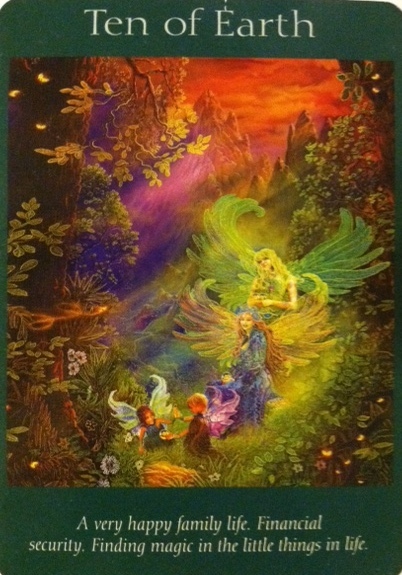 This week I used the Angel Tarot by Doreen Virtue and Radleigh Valentine. Categories: Uncategorized | Tags: Angel cards, Angel Tarot, Card Reading, Doreen Virtue, King of Earth, oracle cards, Page of Water, Radleigh Valentine, Ten of Earth, weekly card reading | Permalink.